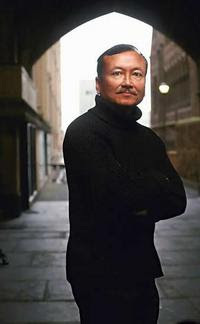 TAN MAY LEE chats with Brian Castro, the award-winning Australian author of such novels as Shanghai Dancing (Giramondo, 2003) and The Garden Book (Giramondo, 2005), about values and culture in writing and being inspired by the weather. Castro was born at sea in 1950, on a ferry between Macao and Hong Kong, but has lived in Australia since 1961. He currently lives in Melbourne, Australia. Tell us about what you do for a living and why you do it. At the moment I supervise students for their PhDs at Melbourne University. I’m a Research Professor there. I enjoy the interaction with students and it also allows me time to write. Name some of your favourite pastimes and indulgences. Well, I get very little time other than writing time. Writing actually takes up a lot of time. I like to go to the movies, but I’m very choosy about which movies I watch. I liked Lust, Caution, a Chinese film by Ang Lee, based on a novella by Eileen Chang, and a German film called The Lives of Others. Can you share with us a memorable experience about each country (Macau, Hong Kong and Australia) you’ve resided in? As a child I once stayed at the Bella Vista Hotel in Macau which looked over the water. It is no longer a hotel, but I have great memories of the large rooms and the fantastic meals. My best moments in Hong Kong were also during my childhood, especially during Chinese New Year, when I would stock up on firecrackers and get up to all kinds of mischief. One bad act was to land them on the tops of double-decker buses. My most memorable experience in Australia was when I stood up on a surfboard for the first time and actually stayed on the wave for a few minutes. Suddenly a huge porpoise jumped out ahead of me! I thought it was a shark. The combination of fear and joy was indescribable. This may sound strange, but I am inspired by the weather. Whenever it is about to storm, I get an electrical inspiration—ideas proliferate, words tumble about. I am also inspired by the sea. What do you look for in a good story? I’m not actually concerned about stories in themselves. I like the musicality of language. I also like brevity, compression and incisiveness. I suppose I’m looking to be astonished, to be surprised by a way of thinking or expression. I like the short stories of the Argentinean writer Jorge Luis Borges. I am reading Per Petterson’s Out Stealing Horses. It is, in my opinion, one of the best books written in the last few years ... anywhere. How can a very local, very Asian story appeal to the masses, without having to resort to cross-cultural references? I don’t think that should be a worry. The local is not the opposite of the global. The local is what gives universal appeal to a book. How important is maturity in a writing career? Maturity is extremely important for a novelist. Novelists have to deal with real life, which has to be lived backwards. Poets encapsulate a moment. Perhaps that’s why they die young. They have to experience everything immediately. Maturity, for a novelist, allows for increased awareness across the whole span of civilisation. The big picture demands longevity. The irony is that one’s life is always cut short during the great unfinished novel. What is your opinion on the value of the literary awards that are endorsed by companies manufacturing non-literary products? I have no problem with that. It goes to show these companies actually care about culture. I only have a problem when the non-literary product is the same as the literary product, that is, soap can sell itself. It doesn’t need prizes. Tell us about the publishing and writing industry in Australia. Well, it’s probably the same across the English-speaking world. It’s all down to sales. But here in Australia there’s a new excitement about small publishing companies that cater to more demanding literature. I think the current atmosphere is more hopeful now. There’s a feeling in the air that the intellect is being valued a lot more. Educationally at least, the new government is taking the lead. The Prime Minister’s Prize, which awards A$100,000 for a work of fiction, is a great incentive, not because of the money but because it shows an appreciation of culture at the very highest level. Why is it always about the money, even with writing? I think that has always been so. James Joyce and William Faulkner would never have been published if the French hadn’t first taken them up. Sometimes a culture stands out that values something other than the monetary. But that is all changing. There are only a handful of writers who can live on their writing or who have become wealthy. I didn’t go into it for the money. That way of thinking has given me an immense freedom. Money, of course, can corrupt talent. Tell us about your most successful literary achievement. I think my ‘fictional autobiography,’ Shanghai Dancing, first published in 2003, was probably my most successful book. It won three prizes [2003 Victorian Premier’s Literary Award/Vance Palmer Prize for Fiction, the 2004 New South Wales Premier’s Literary Award for Fiction/Christina Stead Prize for Fiction and the 2004 New South Wales Premier’s Book of the Year); and is being translated into four languages. I thought it was my greatest failure. It took four years to write and three years to find a publisher. Great interview. It is nice to learn that Brian does not write for money. Money can be a spoiler for many potential writers. Yes, that's a wonderful interview. We must approach writing without thinking about money. Money is just incidental.